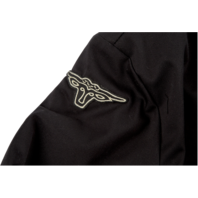 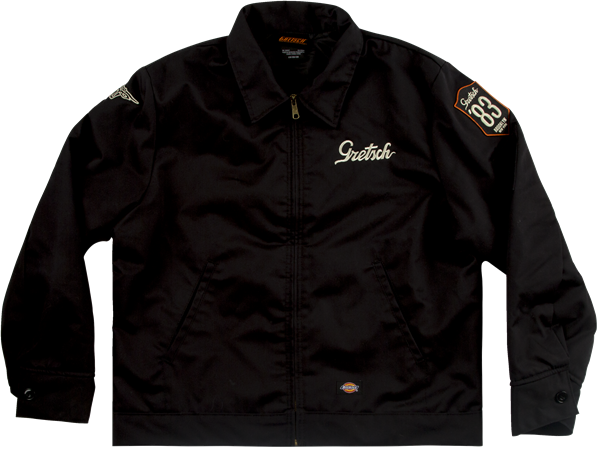 This stylish jacket will keep you warm all winter long! 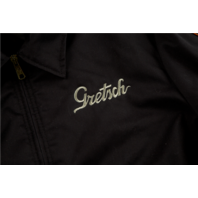 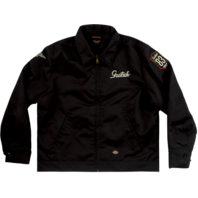 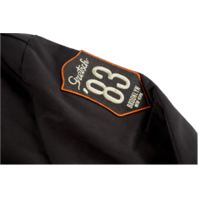 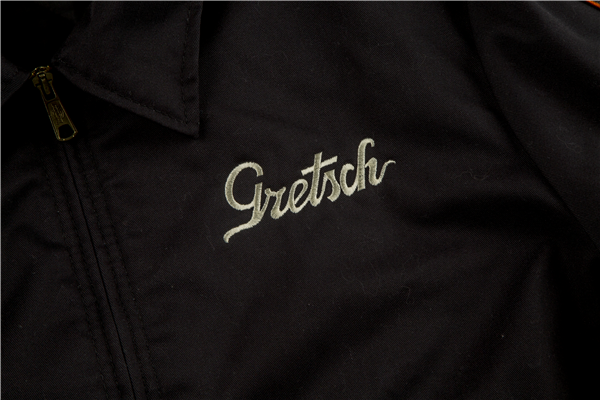 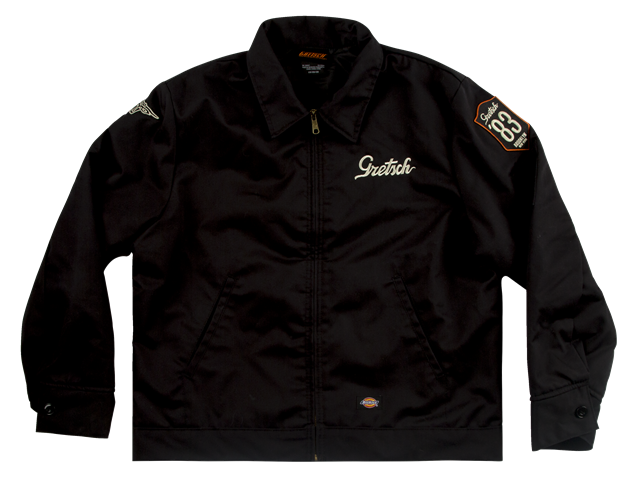 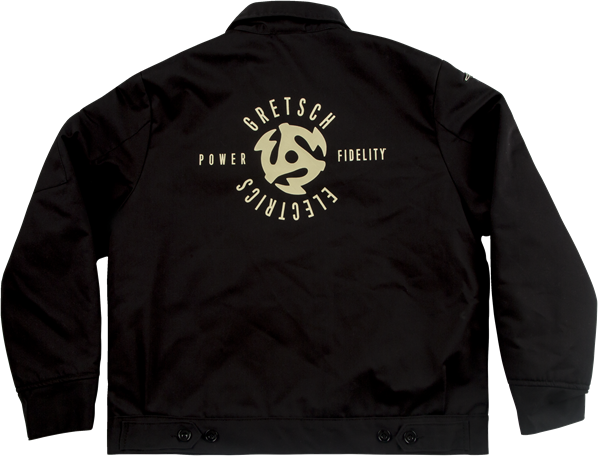 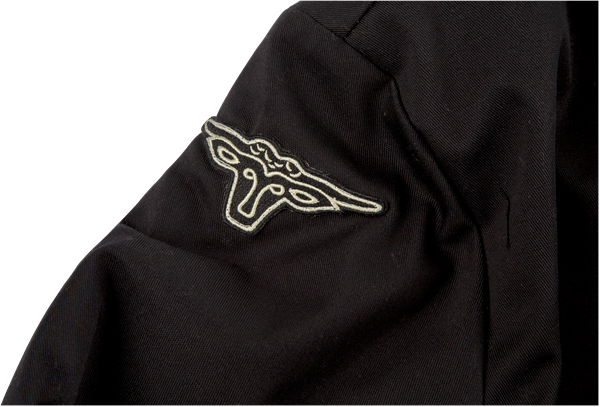 It features the Gretsch® script logo on the front, 2 patches on the arms, and the Power & Fidelity™ graphic on the back. 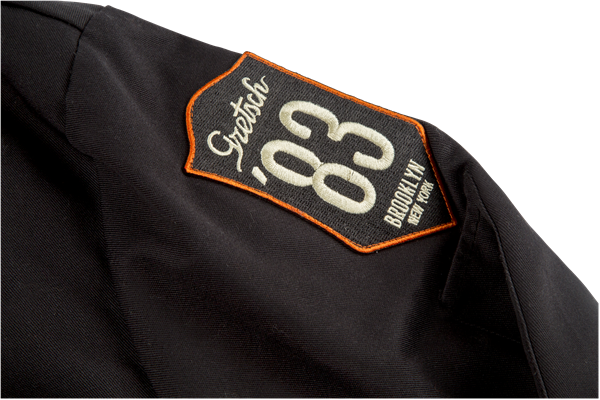 65/35 poly cotton blend.